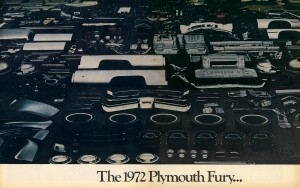 As was the case with all other 1972 full size models from Chrysler Corp., this year's Furys received a substantial facelift of the body sheetmetal. With it came a completely new twin-loop front bumper design and a new rear bumper. The model lineup didn't really change but residing at the top instead of the Sport Fury now were the Fury Gran Coupe and Gran Sedan (only offerd in hardtop configuration). They could be easily identified by their headlights being concealed by a grille consisting of thin vertical blades. 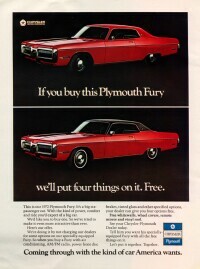 Later in the model year, this grille with concealed headlights became an option on all Fury models. 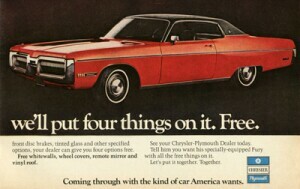 Ranking below the Gran models were the Fury III, II and I models featuring a grille with exposed headlights and horizontal elements including a divider bar. 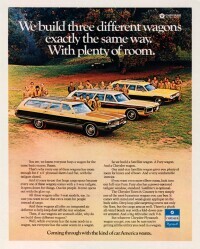 Sport Suburban and regular Suburban wagons were also available. 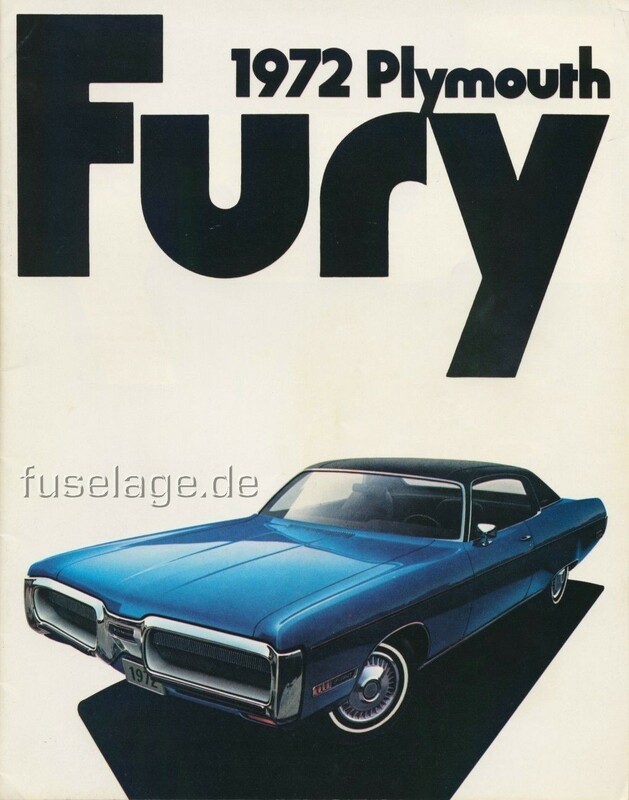 With the Sport Fury nameplate being decomissioned, the GT was also gone for good. Again this year, 2-door hardtops could be had with either a formal roof (which resembled previous years regular hardtop roofline) or the regular hardtop with squarish rear side window. 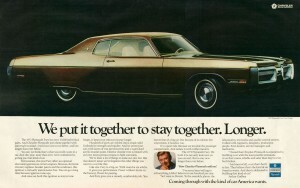 The latter followed the design of the 1972 Dodge and Chrysler 2-door hardtop design and was said to look sportier. What caused some controversial discussions was the design of the lower quarter panels. It featured a triangular shape facing downward in front of the rear wheels. 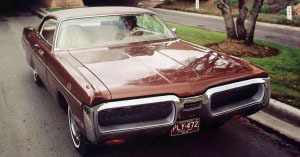 On the regular 2-door hardtops, this shape even repeated behind the rear wheels, making for an inverted trapezoid which optically housed the wheel. 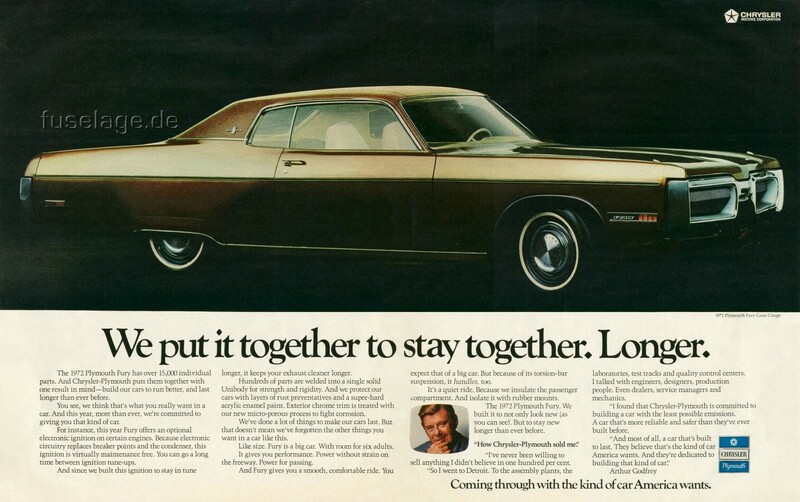 In conjunctin with the position of the lower vinyl roof molding, which sat higher up on the C-pillar, this made for a factory Kustom or "lead-sled" look. 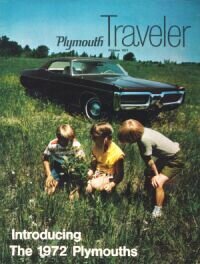 There was also a separate 1972 Plymouth station wagon catalog. Click to see the Fury Suburban section of it. 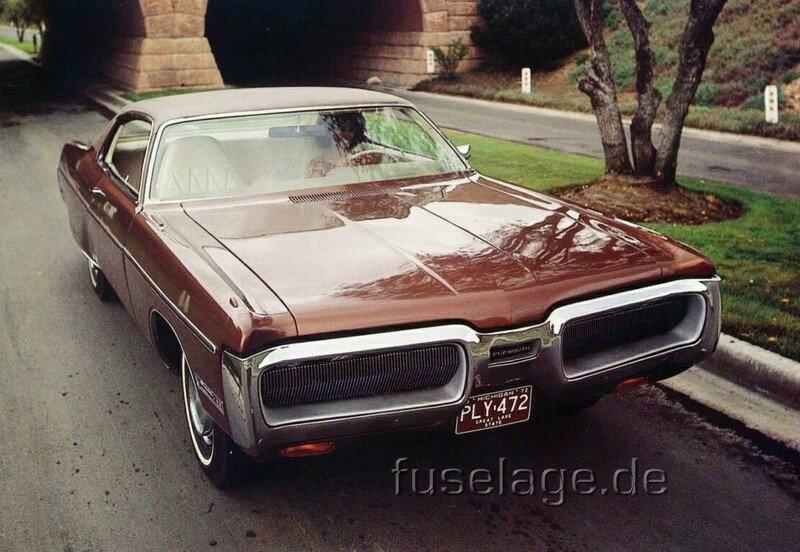 This late 1971 press photo shows a 1972 Plymouth Sport Fury two-door hardtop in Chestnut metallic. 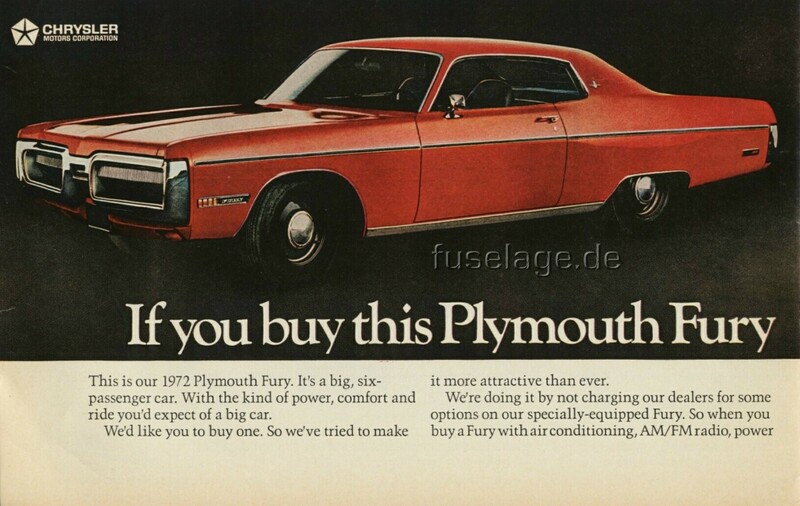 This 1972 magazine ad explained that when ordering a new Fury with specified options (Air conditioning, AM/FM radio, power front disc brakes, etc.) 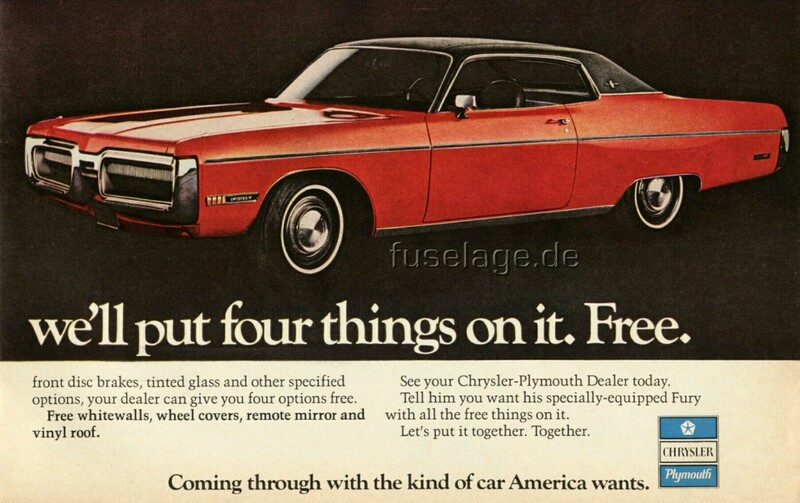 then whitewall tires, wheel covers, a remote mirror and vinyl roof would come free! 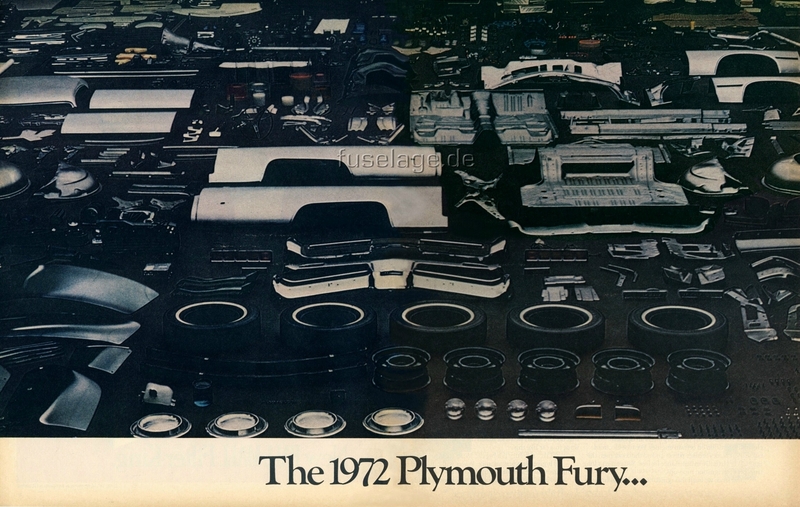 This 1972 magazine advertisement spanned four pages total and promoted the Fury's build quality. 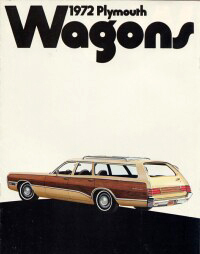 "»Small« seems to be an in-word these days, but it doesn't belie the great desire among Americans for standard-size cars, cars that are big and comfortable, that excel in styling and performance, too. 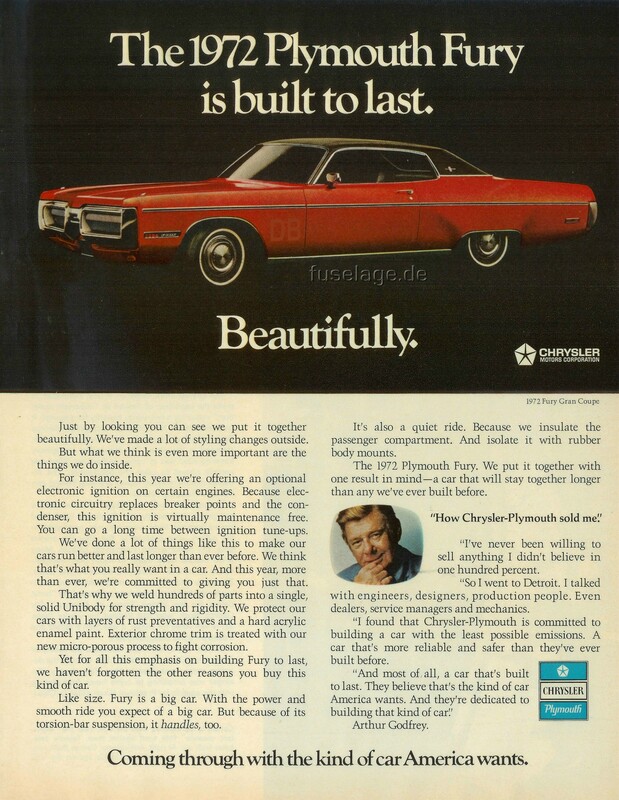 Let's face it happily, big cars are a real pleasure to ride in, especially at today's zinging expressway speeds and under today's driving conditions." 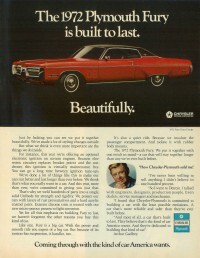 Another ad in which Arthur Godfrey praises the improved quality of the 1972 Plymouth Fury. Here's a one-page version version of the added-value Fury advertisement seen above. 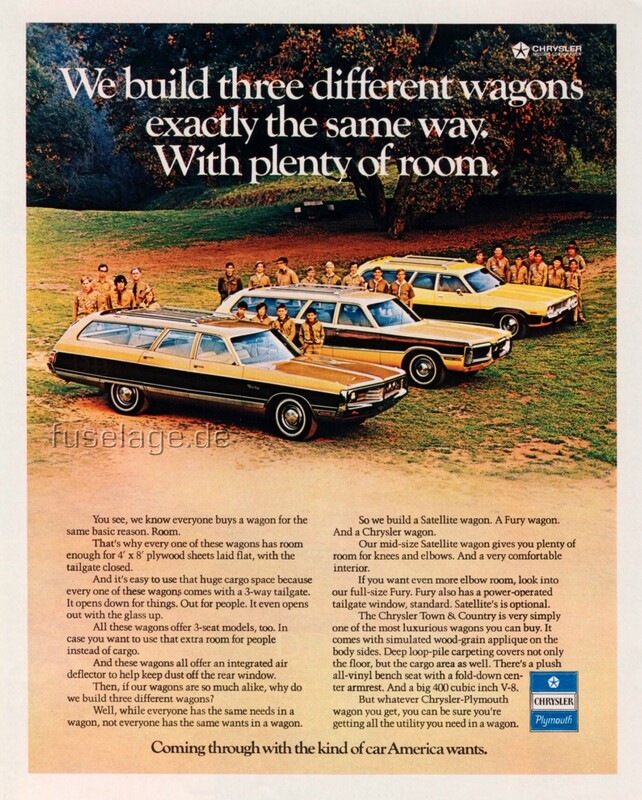 There was a special station wagon advertisement that featured not only the 1972 Plymouth Sport Suburban but also the Chrysler Town & Country and the Plymouth Satellite station wagon. 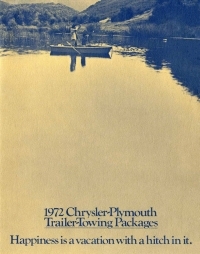 The 1972 Trailer Towing Folder informs about standard towing capacities, trailer towing packages and associated towing loads. Thanks to Axel Bruijnis for this contribution!